Photo: Casa Romantica (foreground, lower left), ca. 1927, 415 Avenida Granada, San Clemente, CA. Built by Ole Hanson as his personal mansion which he and his large family occupied until 1932. 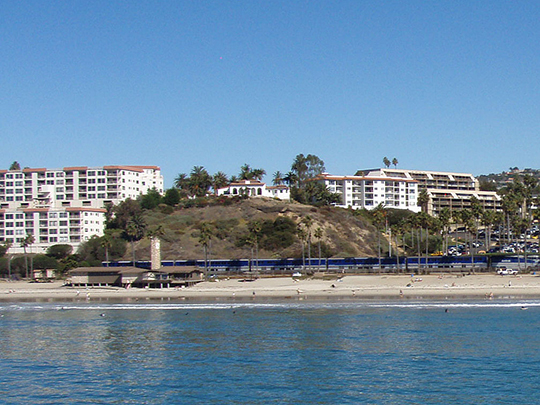 Hanson created San Clemente, one of the first planned communities along the southern California coastline. Listed on the National Register of Historic Places in 1991. Photographed by User:Timshuwy (own work), 2011, [cc-by-3.0 (creativecommons.org/licenses/by/3.0)], via Wikimedia Commons, accessed February, 2013. Orange County administrative offices are located at 333 West Santa Ana Boulevard, Santa Ana, CA 92701; phone: 714-834-5400. The movement to break-away from Los Angeles County began as early as 1870, but it was not until 1889 that the California Legislature created Orange County. The new county corporation became official on August 1st of that year at which time Santa Ana was selected as the county seat.